For a number of years surrounding the start of the 20th century, southern Santa Barbara County was one of the most important walnut producing regions in the United States. By 1910, the walnut crop was bringing in almost $300,000 into local coffers. Although the Spanish introduced the walnut into Alta California, it did not become a crop of much importance until the 1840s, first in the San Diego, then the Los Angeles areas. Russel Heath, on his Carpinteria Valley ranch, was the first to plant a commercial walnut orchard in Santa Barbara County, in the early 1860s. Heath came to California during the gold rush, eventually making his way to Santa Barbara. 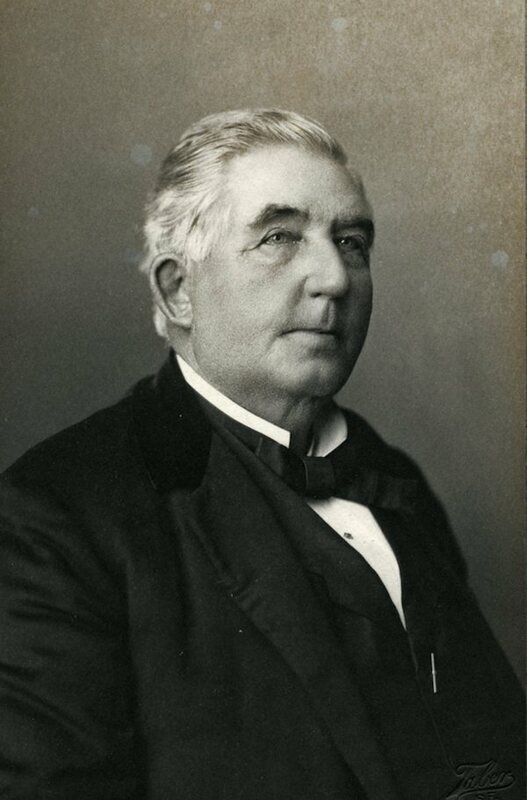 With his background in law, he was appointed Santa Barbara County District Attorney in 1853, then became county sheriff. He was elected to the state legislature in 1858, the same year he bought his Carpinteria ranch. After first experimenting with almonds, by the early 1880s Heath had one of the largest walnut orchards in the country. A local newspaper reported in the mid-1880s that Heath had some 200 acres yielding around 28 tons annually. Walnuts also became a major crop in the Goleta Valley. Joseph Sexton planted them in what is today Pershing Park in 1868, before transferring operations to his Goleta ranch. W.W. Hollister, Ellwood Cooper, and Sherman Stow all became major walnut growers with tens of thousands of trees among them. In the early years, ranchers sold their crops to brokers, who in turn sold to wholesalers. In 1896, the ranchers formed a cooperative to sell directly to wholesalers. The return to ranchers almost doubled, from 6 to 10 cents a pound. Carpinteria and Goleta farmers shipped their crops to F. E. Kellogg’s packing house in Goleta. Here the walnuts were graded according to size, bleached to improve their appearance, dried, and packed in 100-pound sacks for shipment, all at an estimated cost of three-quarters of a cent per pound. Autumn harvesting was often done by hand. Tree limbs were shaken with long poles to knock the walnuts to the ground for retrieval. Harvesting was done by seasonal labor and often by children, who were given time off from school to work in the fields. Husking the walnuts was made easier by a machine invented by G. F. Maiers of Goleta, which used a system of rollers and water pressure to pull the husk away from the nut. His machine, patented in 1903, was still in use well into the 1950s. South Coast crop sizes and prices steadily rose in the early 1900s. By 1910, the Carpinteria yield was so large ranchers in that area began their own walnut cooperative. Walnuts continued to be an important local crop until after the Second World War; county farms produced over 3 million pounds in 1946. Development began to take acreage out of production and other crops, such as citrus and avocados, grew in importance. By 1960 only some 700 acres on the South Coast were planted in walnuts. That same year, local processing of the fruit came to a close and in 1970 the Santa Barbara County Walnut Growers Association shut down. Today fewer than 700 acres in the entire county are planted in walnuts with operations concentrated in North County. It is a far cry from a time when the Santa Barbara region was a national leader in the production of walnuts.